No, its great to share developmental and production costs. I agree with you that the supply chain should be as short as possible. Its awesome to have as many end users buying and operating a common airframe, that my friend has driven costs way down, and the F-35 is an extremely agile powerful aircraft kinematically, what it does electronically is almost miraculous. The supply chain associated with the F-35 is partially driven by the politics of the program because it involved multi countries. Each wanted a share in the economic pie and each got a share in return. Performance and logistics consideration risks probably became secondary in the scheme of things provided they meet certain performance metrics. 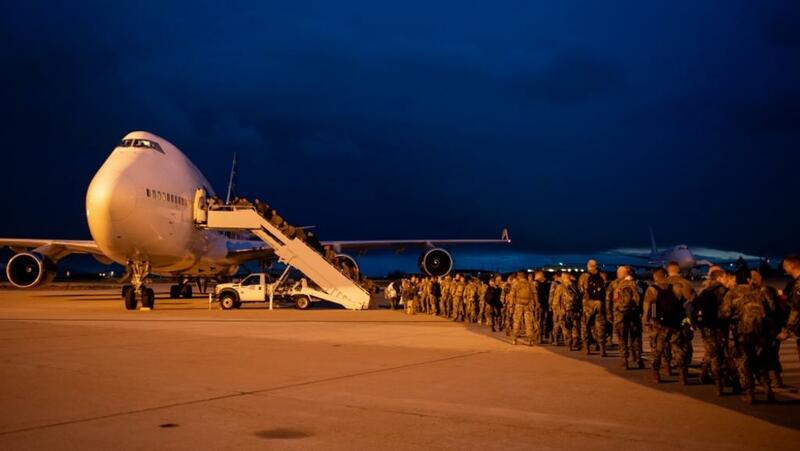 With Turkey's imminent departure from the program, there will invariably be some form of disruption to the supply chain. Every business/operating model has disruptions - just deal with it like any management problem. 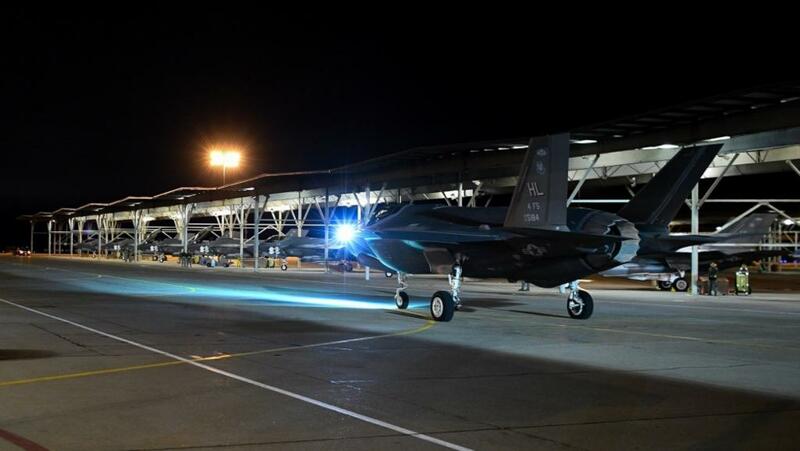 • Aselsan is developing manufacturing approaches for advanced optical components, which are part of the F-35 Electro Optical Targeting System. wouldn't be available anymore? what happens next? Some of this is redundant. I mean had Turkey gotten online with production do you think they would have allowed so much as a single screw to be sold to Isreal? Same for Japan and South Korea. As such you would have overlaps in production. But since only a few parts of the foreign manufacturing are online at the moment most of it would be U.S. made. With the aim of making those parts for later export units. I would not know how robust is their program against non performers but as TE alluded some contingent measures would likely be built into their pipeline. siegecrossbow, Brumby and TerraN_EmpirE like this. 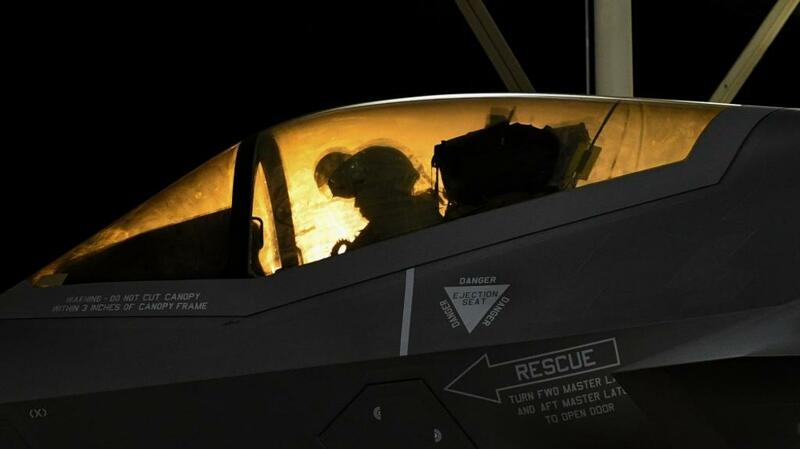 There was a relatively serious issue raised during at sea preparation for IOC of the F-35C late last year that concerns a "green-glow" coming off the AMLCD display of the Gen III helmet. The display's backlighting produces a green glow that can obscure the outside environment particularly in low visibility conditions. It made it difficult for pilots to detect outside light sources. The fix via a OLED display was scheduled this year. 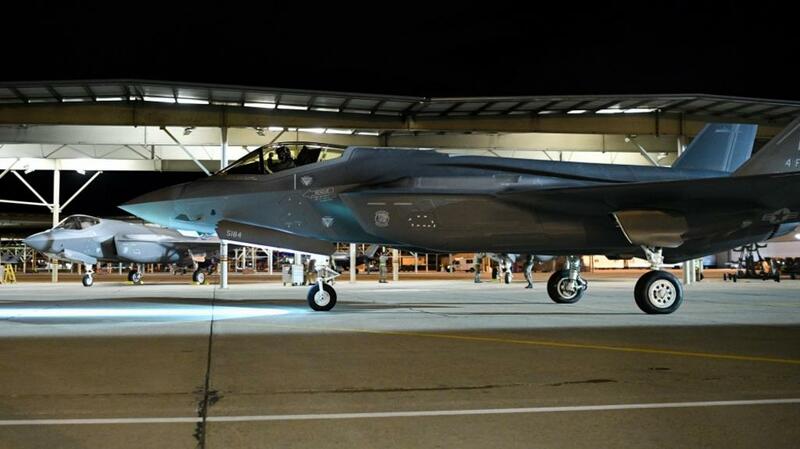 In the interim, inexperienced F-35C pilots were not allow to fly at night while at sea. I am not sure on the status of the conversion to the new helmet. Something to bear in mind as we await information on the cause of the missing F-35A at sea. Brumby, Jura and TerraN_EmpirE like this. now I see "In February 2019, the Air Force revealed it had withdrawn its F-22s from this same base in the UAE and replaced them with F-15C Eagles, instead."